With a stay at this vacation home in Sapphire Beach, you'll be on the beach, within a 10-minute drive of Big Banana Fun Park and Solitary Island Aquarium. 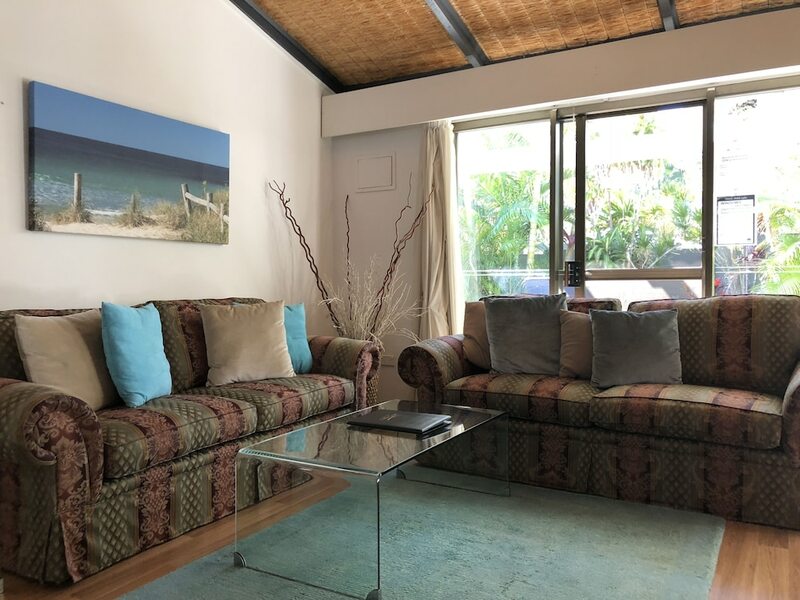 This beach vacation home is 11.9 mi (19.2 km) from Woolgoolga Beach and 2.7 mi (4.4 km) from Diggers Beach. Make yourself comfortable in this air-conditioned vacation home, featuring a kitchen with a full-sized refrigerator/freezer and a stovetop. An LCD television along with a DVD player are provided for your entertainment. A private bathroom with a separate bathtub and shower features a jetted bathtub and a hair dryer. Conveniences include a microwave and a coffee/tea maker, and housekeeping is provided on a limited basis. Dip into one of the 3 outdoor swimming pools or enjoy other recreational amenities including outdoor tennis courts and a fitness center.